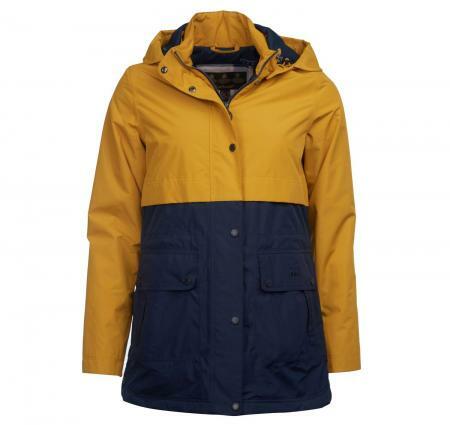 Barbour Ladies Altair Waterproof Jacket in navy blue or tartan red. Barbour Weather Comfort embroidery to wearer's left pocket flap. Back length: 31–33.5" | 79–85cmSALE!